Residential stairlifts fall into two basic categories; straight and curved. It can be confusing to know which type you need. Don’t worry, it’s not as complicated as you might think and we’re there to help and advise you every step of the way. If your staircase consists of one complete flight of stairs leading to a top landing or hallway with no middle landing, you may require a straight stairlift. This stairlift is the simplest solution and uses a single rail attached to your staircase. The slimline design ensures there is plenty of space left for other members of the family to use the stairs. If your staircase has turns, intermediate landings, or limited space at the top or bottom, you may require a curved stairlift. Using a unique modular system, accurate measurements enable a stairlift to be made in days not weeks. A survey of your stairs will need to be carried out which takes around 20 minutes. We offer installation, maintenance and repairs of straight and curved residential stairlifts in Derbyshire, Chesterfield, Mansfield and Nottingham. 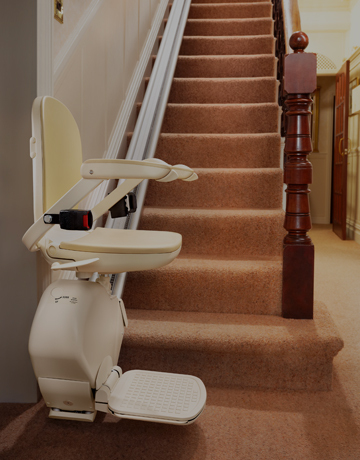 Enabling you to stay in your home comfortably and safely, that’s what our stairlift solutions are all about. The decision to install a stairlift is sometimes a difficult one to take, but when compared with the alternative of moving, or only living on one level of their home, many people have found a stairlift to be their preferred solution. 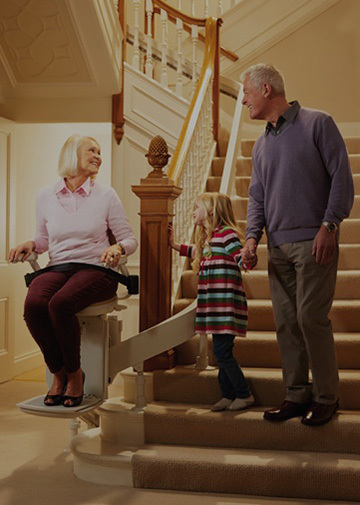 The idea of deciding which stairlift is right for you, and having it fitted, can be a daunting one, however we promise to help and guide you every step of the way with facts and answers to your questions – we guarantee no pushy sales talk. We will ask you a few questions to ascertain what you want from your stairlift, what your personal needs are and which configuration of stairlift will best suit your home. Priority Lift Services, a residential stairlifts in Derbyshire company are extremely proud to be working alongside Brooks, one of the UK’s largest manufacturers and installers of stairlifts in the UK. Precision manufactured, designed and assembled in the UK, your stairlift will be fitted by a fully trained installation engineer, with all work confirming to the highest Safety Standards. Naturally, all stairlifts are covered by a manufacturer’s warranty giving you that extra peace of mind. Whether you require a new installation, maintenance or repair of an existing stairlift, a reconditioned stairlift or even short term rental, we will work with you to ensure we meet your individual needs and your budget. 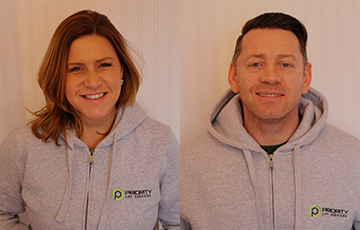 Choosing a family-run company such as Priority Lift Services, means putting your worries in safe hands. Our Technical Manager, Jon Mawer is a qualified engineer – fully trained in the installation, repair and servicing of all makes and models of stairlifts for nearly 20 years. Our Customer Care Manager, Sarah, has years of experience in assessing your needs and is an expert at putting customers at ease and focusing on safety. Together we work hard to maintain our reputation for quality, reliability and safety and pride ourselves on our levels of after-sales care. Our commitment to your safety and needs coupled with our outstanding customer service and 24hr response line means that we’ll have you moving again in no time. 0115 849 2386/07903 943 202.